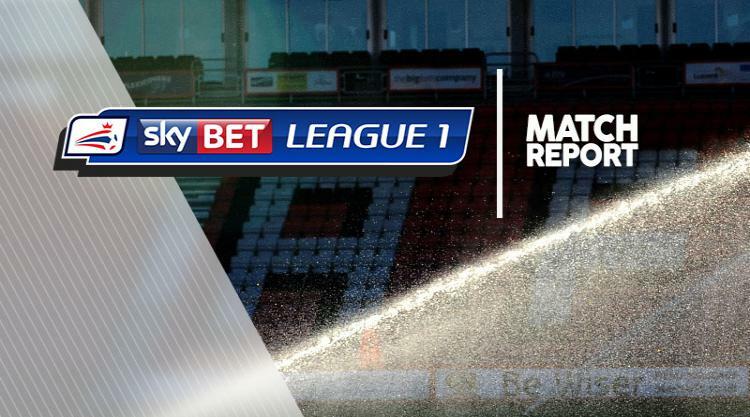 Sky Bet League One leaders Scunthorpe were in rampant mood as they roared to a 4-1 home win over struggling Swindon. All the damage was done in the first half as the visitors were blitzed with four goals. Striker Paddy Madden opened the scoring in the 15th minute when he pounced with a close-range shot after a low driven cross into the box from left-back Conor Townsend. Six minutes later winger Duane Holmes made it 2-0, sweeping his shot under the body of goalkeeper Lawrence Vigouroux after a flowing move down the right had opened up the Swindon defence. Any hopes the visitors might have had of getting themselves back into the game disappeared as Scunthorpe struck twice more just before the interval. In the 43rd minute striker Kevin Van Veen capitalised on a poor back pass by lifting the ball over the advancing Vigouroux before crashing a confident left-foot shot into the net for his eighth goal of the season. And on the stroke of half-time Madden struck again with his second of the game, netting the rebound to make it 4-0 after a great run into the box by Van Veen produced an angled shot that crashed back off the woodwork. Swindon made a double substitution at the start of the second half, bringing on Lloyd Jones and Michael Doughty. They reduced the arrears in the 52nd minute when skipper Nathan Thompson headed home from a left-wing corner from Sean Murray - their first threat of the match. Scunthorpe continued to look dangerous going forward, often having Swindon at full stretch. But they could not find the same finishing touch of the opening half. The nearest they came to another goal was a flashing header from Madden, kept out at full stretch by Vigouroux, denying the home striker his hat-trick. The Swindon keeper also saved well in stoppage time from Josh Morris as the visitors suffered only their third away defeat.